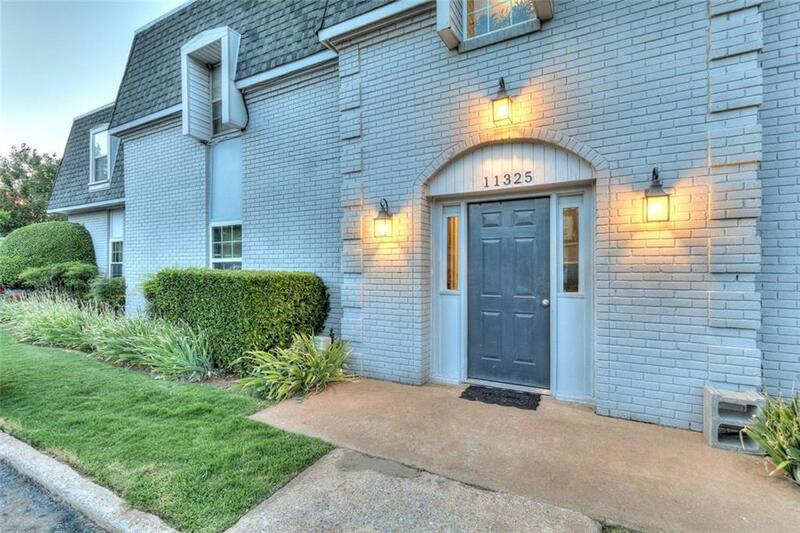 Looking for low maintenance living or rental property in the Northwest OKC area? This charming condo in The Barrington has been well loved and is waiting for you to make it your own or take over ownership for an instant income producing property! This upper level home has a big, open living & dining with wood burning fireplace and balcony. Kitchen appliances updated in '16. Master bedroom has two closets & attaches to full bath. Additional bedroom is good size with walk-in closet & laundry. HOA dues include water/sewer/trash service as well as insurance & maintenance for the exterior, recreational facility, and security cameras. With many mechanical updates completed (HVAC in '17 and hot water tank in '16), washer, dryer, and refrigerator all included, where else will you find a turnkey home in Quail Creek elementary for this price? Tenant is month-to-month but would love to stay. However, requires a minimum 24 hour notice to show. Schedule your private showing today! Offered by Anya Brier Mashaney of Spaces Real Estate. Listing provided courtesy of Anya Brier Mashaney of Spaces Real Estate.